Episode 3×08 “Eat a Knievel” — Liv (Rose McIver) shares the brain of a former daredevil with her new boyfriend, and the experience brings them closer. Blaine (David Anders) is back to his old ways. Meanwhile, Ravi (Rahul Kohli) makes progress in his new research. Finally, a discovery is made that could put Major (Robert Buckley) in grave danger. Aly Michalka and Malcolm Goodwin also star. Michael Wale directed the episode written by John Bellina (#308). Air Date: Tuesday, May 23 (9:00-10:00 p.m. ET) on the CW. 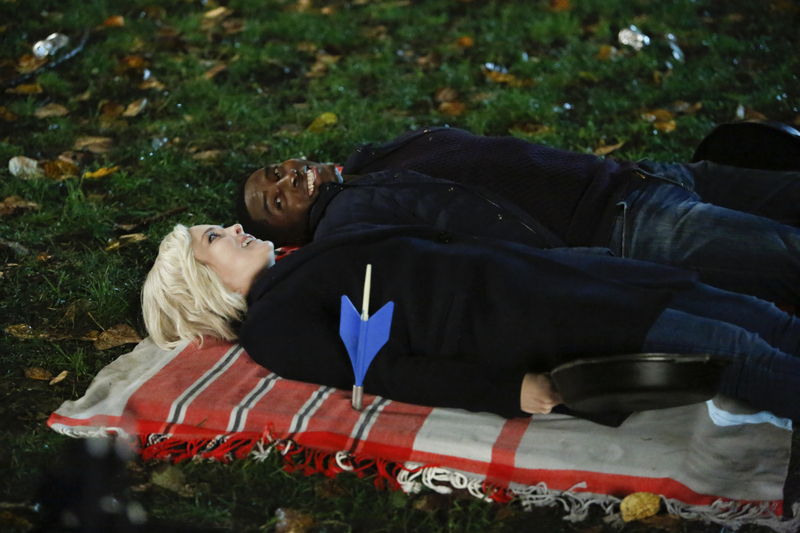 iZombie -- "Eat A Knievel"
iZombie -- "Eat A Knievel" -- Image Number: ZMB308c_0227.jpg -- Pictured (L-R): Rose McIver as Liv and Tongayi Chirisa as Justin -- Photo: Bettina Strauss/The CW -- ÃÂ© 2017 The CW Network, LLC. All Rights Reserved.